Mary Ann Mulrenin Ford passed away Saturday, November 24th after a short battle with cancer. She was born on November 6, 1947, to Charles and Louise (Krause) Mulrenin. She was preceded in death by her parents and brother Daniel. She is survived by her sons Eric (Amber) Buck and Glen Ford (Danielle Dragan); step-sons Kirk and Eric Flowers; and her dearly loved grandchildren, Kaley and Cameron Ford, and Milo and Kegan Buck. Mary Ann also leaves behind her siblings, Patricia Gund, Kathy Soard, Peggy Mulrenin, Kerry (Dale) Eldred, and Tom (Karen) Mulrenin, and several beloved nieces and nephews. She grew up in Paw Paw, Michigan where she graduated from high school in 1965. She lived for a time in Louisville, Kentucky and then returned to Michigan, living in Sturgis and Kalamazoo. When her mother wanted to sell the family home, Mary Ann bought it in order to keep the house in the family, and returned home to Paw Paw. 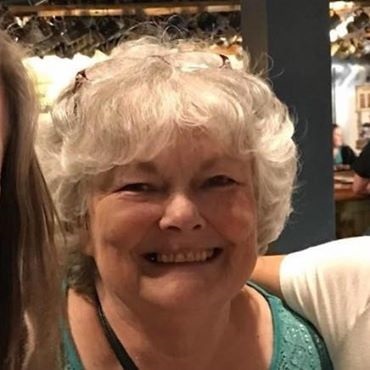 Mary Ann was blessed with many life-long friends from high school and a varied career working for Checker Motors, Grumman Olson, Sign Art, and Western Michigan University, where she retired after 15 years of service. In retirement she enjoyed traveling to visit friends and family, serving as Secretary for the PPHS Alumni Association, staying connected to the class of ‘65, and lovin’ on her kitty cat Sassy. Mary Ann was a talented woman who will be remembered for her skillful crocheting, detailed sewing, and delicious baking. If you were lucky enough to know Mary Ann, you knew how good her desserts and Chex mix were! A gathering will be held at Adams Funeral Home on Saturday, December 8, starting at 11:00, followed by a 12:30 service. Memorial contributions may be directed to Eleanor’s Pantry, 221 Drew Street, Paw Paw, MI 49079 or to the Paw Paw Alumni Association at 49962 C.R. 653 Paw Paw, MI 49079. for a scholarship in Mary Ann’s name.